Why Are Your SBA 8a Certification Supporting Documents Critical? When applying for your SBA 8a certification, there are a number of supporting documents that you must gather to send in with your application or use them to get information. You do not want to just look at this as an empty exercise. Instead, you must really seek to support your position with valid and credible documents. The SBA scrutinizes every document when you submit your 8a certification application. In fact, the SBA will deny your application if it finds inconsistency between documents. Be aware that if you are denied your 8a status, it would be heard to prevail on appeal if your supporting documents are on their face inconsistent. The following is a list derived from the SBA. Gathering the 8a program list of SBA 8a Certification Application Forms will help you to make sure that your application is complete. You also want to always follow-up to make sure that you have an accurate 8a certification application form along with the below list of supporting documents. 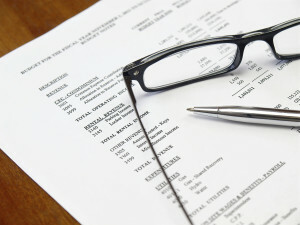 Your firm’s balance sheet and profit and loss statements for the past three years (include most recent, current within 90 days of your application) this part of the supporting documents may help the SBA to assess revenues and whether or not you have the ability to succeed in the SBA 8a certification program. Proof of signature authority on firm bank account(s) (signature card(s) for firm bank account(s) and/or letter from the bank) – this level of 8a certification supporting documents goes to the issue of control and affiliation, actual or not. For Help With Your SBA 8a Certification Application Forms, Call 1-866-601-5518 for a Free Initial Consultation.